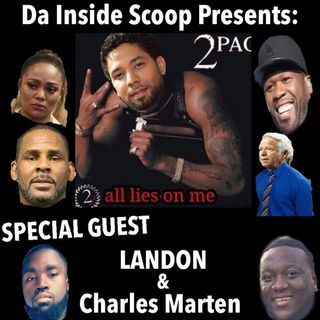 Da Inside Scoop is back with another hilarious episode. We Talk about the trending news of Robert Kraft, Jussie Smollett, R Kelly, and so much more. We had two new podcasters on our show, Make sure to Follow Landon and his show Television Talented and Charles Marten Threw the glass Podcast. We took multiple call ins on the show for our topic and Scoop Grady got a phone call he will never forget. Make sure to share and comment. Thank You to everybody that listen to Da Inside Scoop.